Simon Lane is a very popular British YouTube star. Like most folks who’ve come to garner fame as a result of their activities on the video-sharing platform, Lane got popular by posting funny commentary while playing video games, most notably Minecraft. On a more professional basis, Simon Lane is the creative director of Yogscast, a channel he started with his friend Lewis Brindley. Thanks to their big break with Minecraft videos, Yogscast was incorporated as a company in May 2011. With over 3 billion views and 7 million subscribers, the channel remains the biggest in the UK. Here is how Lane came to be a part of the groundbreaking venture that is The Yogscast Ltd. Fans of the Yogscast channel would prefer to refer to Lane by his alias “Honeydew.” The funny and witty creative director of the channel makes looking silly very enjoyable. However, before the funnyman began doing silly things in front of the cameras including playing as a dwarf at every opportunity he gets, he had another life. Upon his birth on the 17th of March 1978, he was given the full name Simon Charles Lane. The only known facts about Lane’s family and early life are the ones he jokingly speaks of in random videos. For instance, in an episode of YoGPoD (Yogscast podcast founded in 2009), Lane, in his usual comic fashion, revealed his father’s name to be Alan. He has also mentioned having a brother with whom he was raised. In school, a career counsellor advised Lane that Insurance would be the perfect career path for him, however, he went on to study Astrophysics at Cardiff University. He failed a course and later dropped out. Subsequently, he began working at an old people’s home as a security guard. Simon Lane is proudly an atheist. An animal lover, he once had a dog named Ollie and owns two cats named Fuckface and Wankchops, female and male respectively. Simon Lane has always loved video games and one of the first he played was Jet Set Willy. It was while playing the online game World of Warcraft that he met future business partner Lewis Brindley. Attracted to Lane’s sense of humour, Brindley connected with him and introduced him to his community of fellow World of Warcraft gamers, marking the start of what would be an enduring bromance. Simon Lane’s contribution to Yogscast is simply unmatched and thanks in part to him, it has become such a big name in the world of online gaming. They got their big break after they began posting commentary on Minecraft game. In addition to his Minecraft game, Lane also posts other kinds of videos most notably, the Simon Sings and Simons Plays series. In the former, he posts musical interludes with a vocal impression of a cat’s voice while in the latter, he plays a number of console and computer games. Simon Lane, alongside Brindley, hosts Yosgcast first podcast YoGPoD which was started in February 2009 and continues to run. 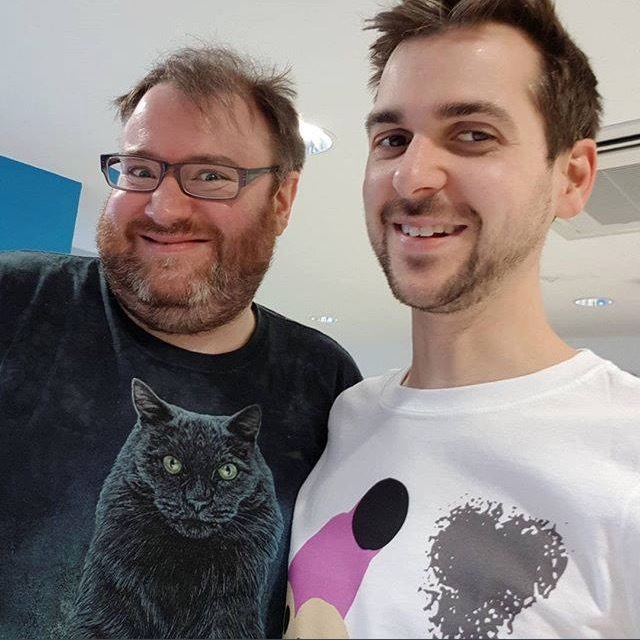 Over the course of his stay at Yogscast, Simon Lane has had to go on a hiatus a couple of times. The first one happened in March 2015 when he posted a video, saying that he’d be taking some time off due to an unspecified medical condition that saw him make an unexpected trip to the hospital. A few months later, in September, Lane was back to posting videos. Since returning from the first hiatus, Lane’s activity on Yogscast has gradually waned, albeit he maintains a certain level of activity. • Simon Lane used to smoke but later quit and began taking nicotine capsules. • The YouTube personality has bad eyesight with one of his eyes worse than the other, thus, he has different strength of lenses on his glasses while one of his eyes appear bigger than the other. • Simon Lane has revealed that he has a special place in his heart for Olivia Wilde and Katy Perry. 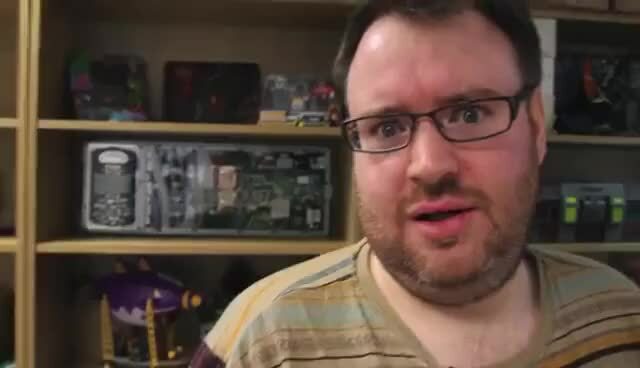 • Alongside a number of Yogscast members, Lane has undergone the ice bucket challenge. He donated to ALS. • The PC version of the video game Sega All-Star Racing Transformed has one of its characters named “Yogscast” designed in Simon Lane’s likeness. • While in Cardiff, Simon Lane was kicked out of a radio show for cursing a host on air because he interrupted an Alanis Morissette song that was playing.